Muskmelons are high in vitamin C , beta carotene and calcium. It has lot of health benefits, including Strengthening the vision, controls diabetes & blood pressure and many more. It is good for pregnant ladies too as it has high folate content which prevents water retention. Other than the help benefits, it tastes so delicious and refreshing. Definitely a thirst quencher during the hot summer. 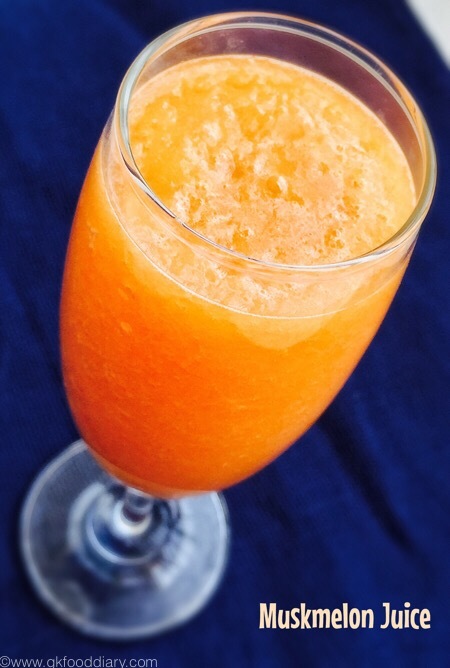 Lets get on to check how to make this tasty muskmelon juice. 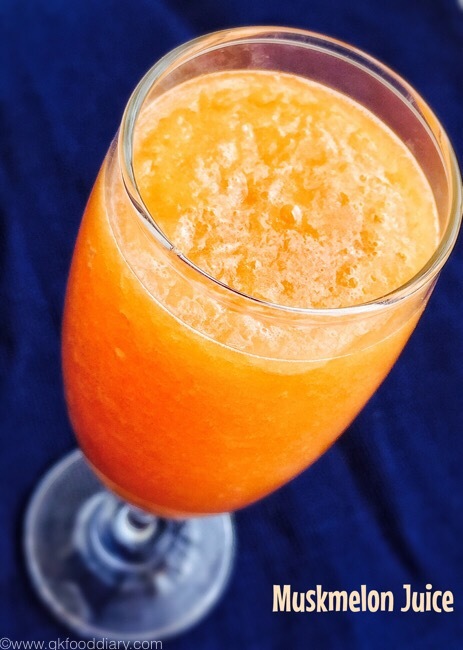 Muskmelon juice - Easy and quick juice recipe with cantaloupe and honey. Wash the muskmelon in running water thoroughly. 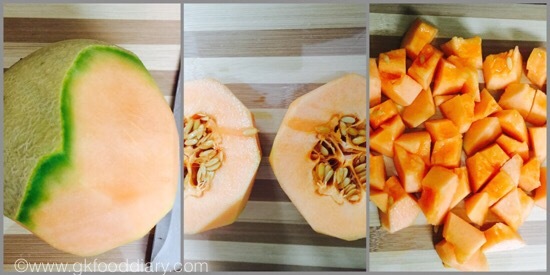 Peel the skin off from the muskmelon and cut into two vertical pieces. Then remove the seeds and chop them into equal size cubes. Set aside. Then take chopped muskmelon pieces in a juicer/blender. Blend everything till smooth. 1. Wash the muskmelon in running water thoroughly. Peel the skin off from the muskmelon and cut into two vertical pieces. Then remove the seeds and chop them into equal size cubes. Set aside. 2. 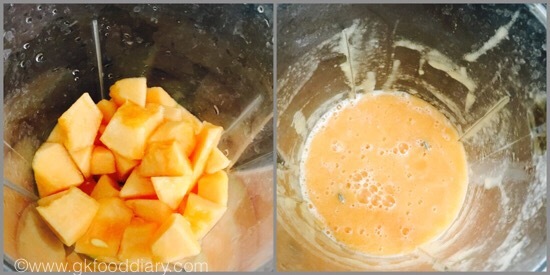 Then take chopped muskmelon pieces in a juicer/blender. Blend everything till smooth. 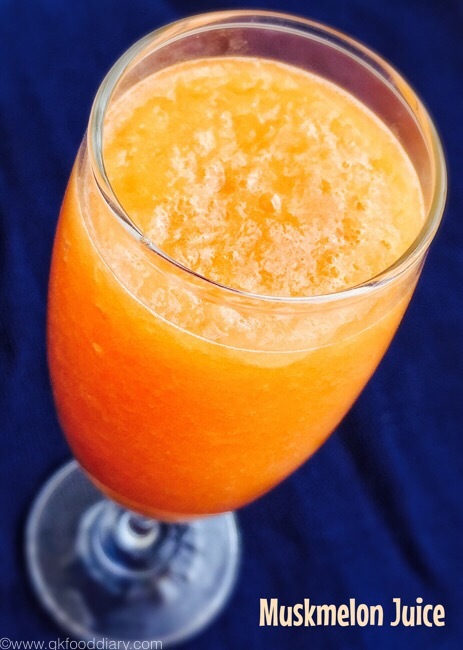 The delicious and healthy muskmelon juice is ready. Serve chilled !!! Make sure to remove the seeds from muskmelon as they make the juice to taste bitter. You can add ice cubes to the juice if you want it more chilled. 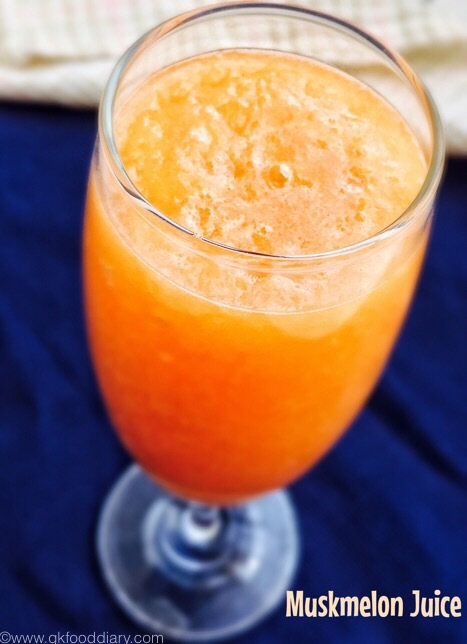 Choose ripe and sweet muskmelon to enjoy the sweet tasting juice. 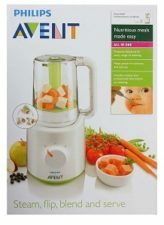 If making this juice for babies of age 6-12 months, Skip honey and ice cubes.